In doing some research on Matthew’s portrait of Jesus, I have been struck afresh by the poetic structuring of Jesus’ teaching. Noticing this raises interesting issues both about our engagement with the texts and our understanding of them, but also some questions about how the texts have come to us in their current form. A simple example of this is to note that the Beatitudes in Matthew 5.3–10 not only have a clear and repeated pattern, but also a distinctive overall shape. The whole set of eight sayings are framed at beginning and end by reference to ‘the kingdom of the heavens’ (Matthew’s Jewish, more reverential reference, to the kingdom of God). And the eight sayings are clearly in two sets of four. The first four are all framed in terms of people who are in a state of need or lack (poor, mourning, meek, hungry and thirsty); the second four are framed in relation to people acting in a certain way (with mercy, purity, peace or righteousness-with-persecution). Another example, often missed, is the structuring of the speeches in the parable of the sheep and the goats in Matthew 25, which I discuss in more detail elsewhere. The Son of Man, who suddenly unannounced becomes ‘the King’ when he takes his throne, addresses both groups in terms of what they have done, and deploys six terms structured as three pairs: hungry and thirsty; stranger and naked; sick and in prison. These three-times-two items are recited four times, twice by the King, and twice by the groups in response. Interestingly, each time the details in this list become more condensed, so the final response by the ‘goats’ is a slightly desperate ‘When did we see you hungry or thirsty or stranger or naked or sick or in prison…’ As I found when I learnt this passage by heart many years ago, it makes it much easier to commit to memory. So there is a clear sense of symmetry between the first half and the second half, which also highlights the central request for daily bread. 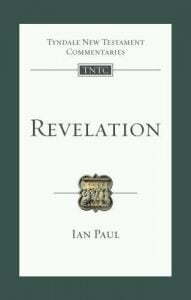 This immediately leads to a number of insights into the prayer, its use and its origins. In the first place, it does appear that the prayer in this form was intended to be learned and recited. I have seen a comment in the past to the effect that Jesus was not teaching a prayer to be recited, but giving us a pattern. Well, a pattern it is—but it also appears to be quite poetic or liturgical, and in fact designed for memorisation. Secondly, I have found that seeing this structure has changed the way I pray the prayer. In the English form, in leading and saying this corporately, my observation is that we tend to run the third petition about God’s will into the central one for daily bread, as these seem (superficially) to have a similar shape. But this structure makes it clear that the third petition belongs with the first two, so I now find myself pausing there, before asking for daily bread, after which I pause again. As Wenham points out, the request for practical provision sits happily within the Sermon on the Mount, but it sits between an extended concern for God’s glory, and an extended concern for our own spiritual growth and protection. 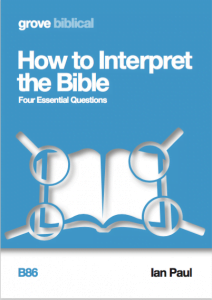 Thirdly, this raises really interesting questions about Jesus’ own method of teaching. The structure of Jesus’ teaching and his pithy aphorisms (in, according to Ben Witherington’s commentary, the Wisdom tradition) are particularly evident in Matthew, but are present in the other gospels too. So Luke’s version of the Lord’s Prayer (Luke 11.2–4), although with variation, remains true to this structure. If Jesus’ ministry lasted five months (as it appears in Mark) or three years (as it appears in John), either Jesus said lots of other things beyond what we have in the gospels—or he taught the same thing again and again, in a memorable form, so that it might be learned and reflected on—or both. Perhaps, in our teaching and preaching, we ought to consider doing the same? What can we learn from the ‘Viral Vicar’? John Byron comments (on FB): Ian, some good thoughts. I agree Jesus most likely taught the prayer as something to recited, although what it looked/sounded like originally is anyone’s guess. I wonder what you make of the version in the Didache? I would date the Didache late first century which means that we also have a very rhythmic prayer being recited outside of the gospels and presented as a prayer to recite (twice a day). The question then becomes one of chicken and the egg. Did Jesus teach the prayer as we have it in Matthew and the Didache or do these two documents reflect a refined version of Jesus’ prayer that was used from the earliest days of the church? 1. It is introduced by the phrase ‘Pray as taught by the Lord in the gospel’ (?? ?’ ?? ????????? ? ?????? ?? ?? ????????? ???? ?, ???? ???????????). I don’t know what research has been done on this, but the phrase ‘in the gospel’ suggests that there was already an authorised written document in circulation. 2. In the Lord’s Prayer itself, the Didache goes with Luke in have ‘forgive us’ in the present tense, rather than the aorist as in Matthew. But, more significantly, the line has lost ‘our’, which destroys the careful 4.4.4/6.6. (6) word structure which is in fact present in both Luke and Matthew. This would suggest to me that the text is derivative or at least further removed from Jesus actual teaching than either of the gospel accounts. Btw, I love the comment preceding this. ‘Don’t fast like the hypocrites. They fast on Mondays and Tuesdays. We should fast on Wednesdays and Fridays.’! Jesus’ teaching in the canonical gospels has a rather more fundamental approach to how we should differ from the hypocrites! Michael Bird comments via FB: I cover this in my forthcoming gospels book where I say: Rainer Riesner contends that around 80% of material in the Gospels attributed to Jesus contains features of Hebrew poetry such as parallelism and chiasmus which comprise a mnemonic device that renders such teachings quite memorable. The longer units which make up round about 54% of the Synoptic tradition are entirely parabolic. Much of Jesus’ teaching material appears that it was composed precisely in order to be wedged in memory. Werner Kelber notes, “the extraordinary degree to which sayings of Jesus have kept faith with heavily patterned speech forms, abounding in alliteration, paronomasia, appositional equivalence, proverbial and aphoristic diction, contrasts and antitheses, synonymous, antithetical, synthetic, and tautologic parallelism and the like.” Poetry with rhythm, rhyme, alliteration, and assonance probably has a greater chance of make a lasting cognitive impact on an audience than plain uninflected discourse. This raises interesting questions about why we rarely notice or comment on this–and how little it affects teaching and preaching, particularly in evangelical circles. We often treat Jesus’ teaching as if it were casual and conversational, rather than carefully constructed, and therefore carefully prepared. I am not sure how much this applies to Anglican Evangelicalism, but here in Germany and Austria Evangelicalism tends to define itself at least as much by how it is different from the Roman Catholic Church and the Lutheran/Reformed mainline churches as by doctrinal content. Thus, in addition to the fact that Semitic and Greek poetic forms do not translate very well into German (and English), so that we effectively have prose in our Bibles, Evangelicals in my part of the world are suspicious of Liturgy and prepared texts, equating “ad libbing” with the “work of the Spirit”. Yes, some would say that here too. But I wonder how many would consider other formal statements e.g. marriage vows, to be ‘dead liturgy’? If not, what is it that breathes life into set words? Here in Austria many Evangelicals live in a reaction to Catholicism, so much so that we denigrate anything the Catholics do. Thus, we don’t use set prayers or liturgy, and we don’t celebrate religious holidays AS RELIGIOUS HOLIDAYS. We observe them as cultural holidays, and we use them as evangelistic opportunities, but generally they and their observance are not perceived as something spiritual. So, many churches will have an evangelistic Christmas and/or Easter program, but not do anything special in their worship service on Easter Sunday, and may not even have a service on Christmas Day (especially if everyone is pooped from the evangelistic program on Christmas Eve). Forget Advent and Lent as times to reflect spiritually! There are exceptions, and they are increasing, but that is still the general situation. As for marriage vows, the tendency is to formulate your own … since German does not have something like the BCP, whose marriage vows are used across the denominational spectrum in English-speaking countries, and since Austrian law does not require specific words heard by the registrar or officiant in order to have a valid marriage. Do you think that the way that in English we run ‘Your will be done on earth as it is in heaven’ into ‘Give us our daily bread’ subtly encourages a theological viewpoint that everything that happens is God’s will as opposed to Greg Boyd’s viewpoint that there is a spiritual war going on and, therefore, whilst God is ultimately sovereign not everything that happens is God’s will? Thanks, Tim–I think that is possible. 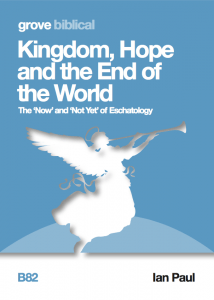 Greg Boyd is not alone in this–all NT eschatology appears to agree! (Boyd’s more controversial assertions relate to whether God ‘knows’ the future…). 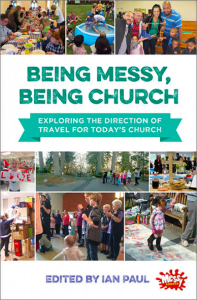 For me, the more important thing is that this way of praying de-emphasises the focus on God’s kingdom, and subsumes it into a request for our needs to be met. So the danger here is that it shifts the focus of the prayer from God to us. Steve Walton comments on FB: There’s a very useful summary article in English by Riesner: Riesner, R. “Jesus as Preacher and Teacher.” In Jesus and the Oral Gospel Tradition. ed. Henry Wansbrough. JSNTSup 64. Sheffield: JSOT, 1991. 185-210. Alas, Jesus als Lehrer has not been translated. Thanks so much for this, Ian. I have a feeling that it really was the repeated teaching, refined by repetition, authenticated by action and repeated by followers which made for the amazing consistency in general coupled with the generally tiny variations in detail which we see in the gospel records. This chimes with Wesley’s comment to the effect that his sermons became much better after being preached at least 50 times and also to the most effective street preachers I know of today who use well prepared messages over and over again. Even the different messages contain chunks of repeated information which are basically common to a number of the different messages in order to proclaim the good news to our generation. Just a little head-scratching here, please forgive. You refer to the last two invocations in the Lord’s prayer as having 4 words each and there appear to be 6 words in each in the Greek (as Wenham points out in his paper). I assume that you mean 4 ‘active’ words and not the conjunctions? I also love Wenham’s emphasis on the relationship between his A and A’, B and B’ etc and his rebuttal of Kassian’s ‘Eucharistic’ reference to the bread which I still hear preached these days! Thanks Terry—apologies for the typo now corrected. There are three sets of four words in the first half, and three sets of SIX words in the second!